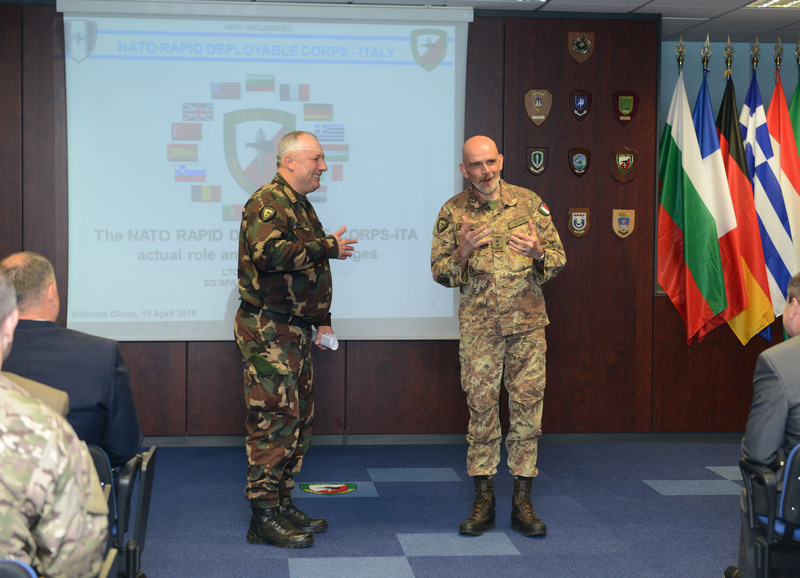 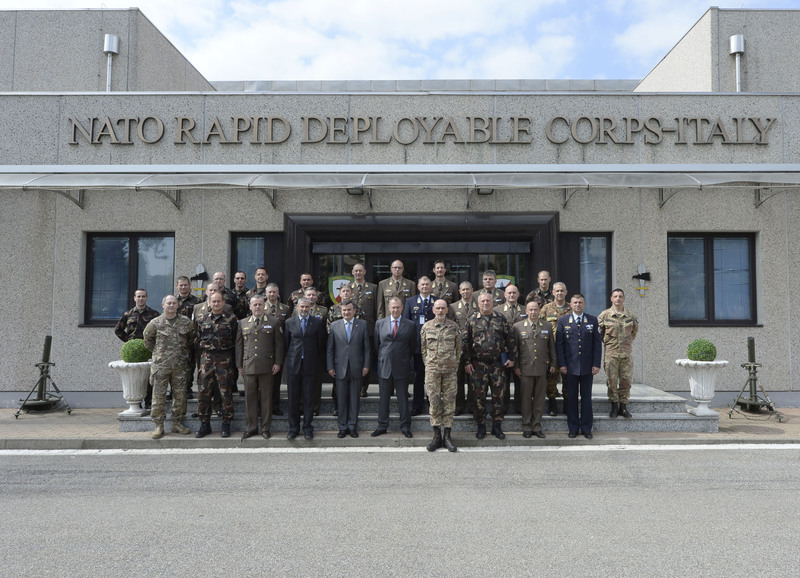 Today, 15 April, Prof. General (Ret) Zoltán Szenes, Professor of Security and Defence Studies and former Chief of Defence of Hungary, together with 14 students of the Hungarian National University of Pubblic Service visited the NATO Rapid Deployable Corps Italy, welcomed by Major General Giovanni Manione, NRDC-ITA Chief of Staff. 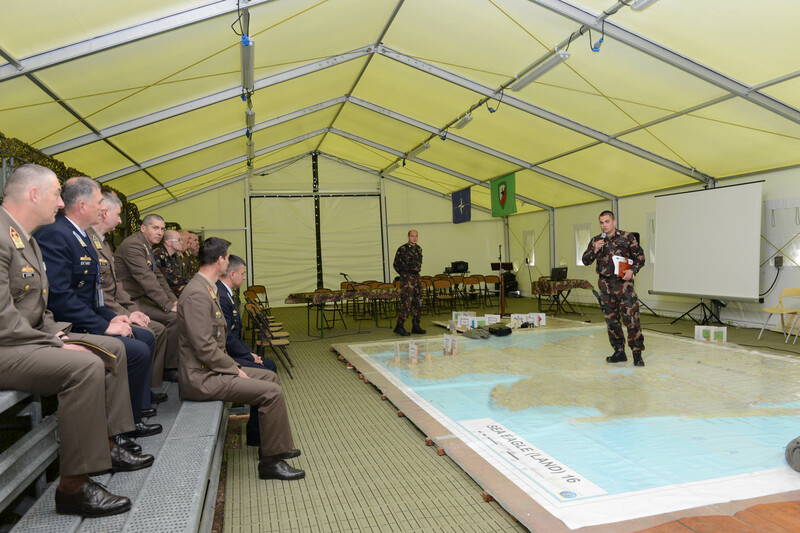 Aim of the Institute of Hungarian Military Leadership Training is to conduct high quality military leadership training at both bachelor and masters levels for the Hungarian Home Defence Forces, and to conduct research and development in all issues related to the employment of military forces in the framework of national and NATO-EU relations. 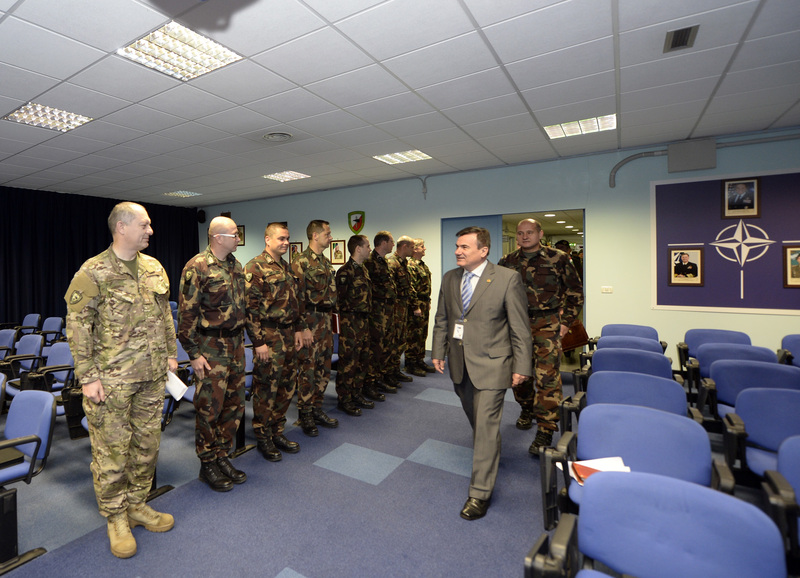 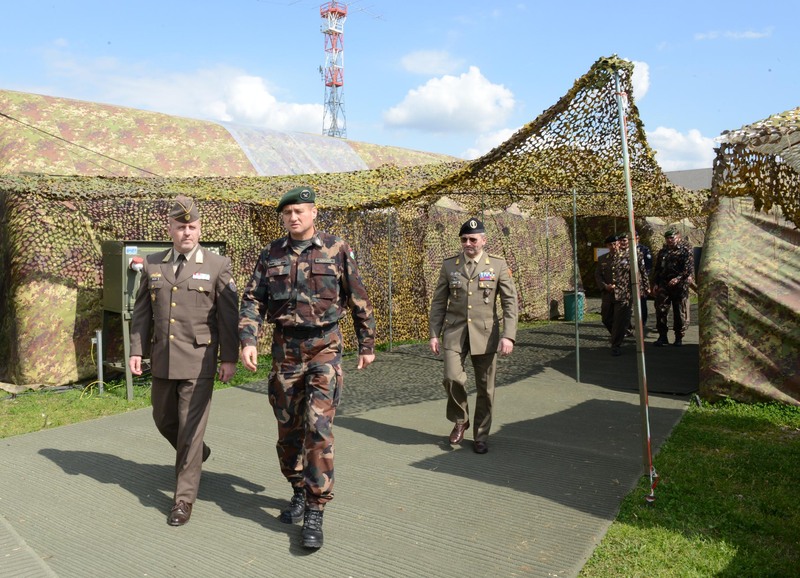 Together with the official visit, during which the trainees had the chance to observe NRDC-ITA working procedures and future engagements, the members of the Hungarian Home Defence Forces met their fellow countrymen including General Zoltan Gulyas, Hungarian Senior National Representative at the “Ugo Mara” barracks and Influence Division Commander for NRDC-ITA. 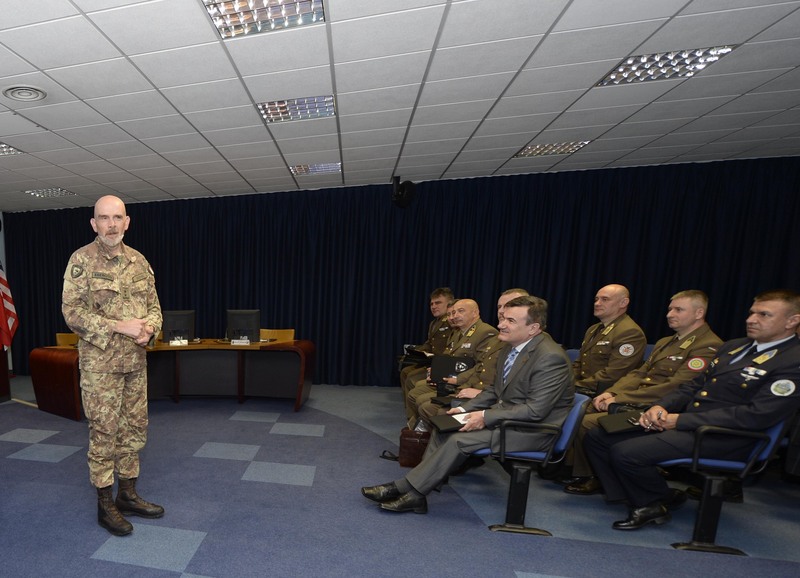 Before leaving the NATO Headquarters in Solbiate Olona, Prof. Zoltán Szenes met NRDC-ITA Commander, Lieutenant General Riccardo Marchiò, exchanging their positive thoughts regarding this very important experience for the students of the Hungarian National University of Public Service.